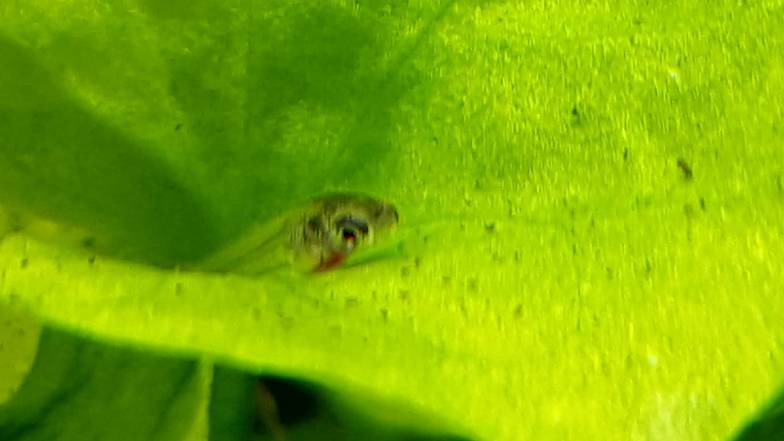 I've got some fry scooting along the leaves of one of my plants and wondering if they are baby Otocincilus. They don't swim like the fry of the guppies and other mid water swimmers in the tank. The hug the leaves and also seem to have different mouth etc when I zoom in. Hard to get a good look as this plant has cup like leaves and I only catch them when they scoot to the edge. Guppies, Celestial Danios, White Clouds, Harlequin Rasbora, Rummy Nose, some cory which I believe are Paleatus & a straggler or two (Lampeye, Endler). 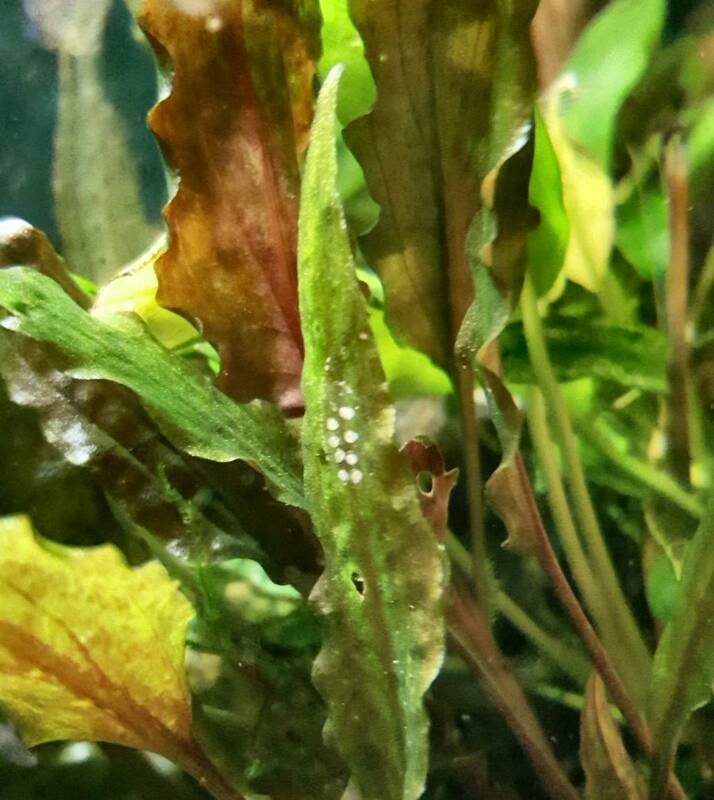 I did catch the Amanos eating what I thought might be Oto eggs once as they were on the underside of the crypto leaves but at the size of these fry I can't be sure. 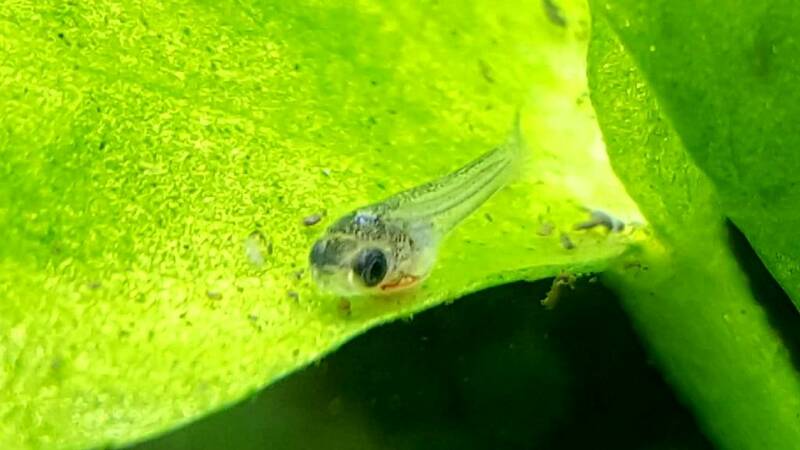 Those look like oto fry to me. They have to eat their parent's poop in order to survive, so best of luck. We'll see how it goes. I have a fair amount of Otos in there so let's see if they find enough poop. Haven't been able see these again but the Otos seem to be happily laying eggs here and there. I hope a few survive. 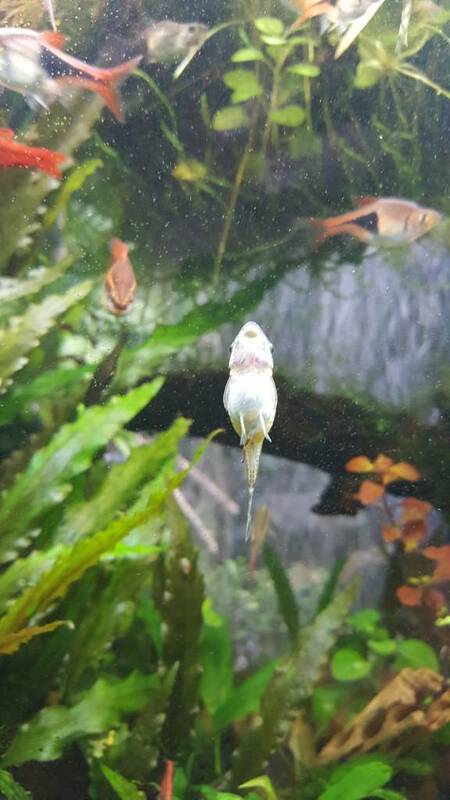 What a happy fat-looking oto! Really nice looking crypts, too. 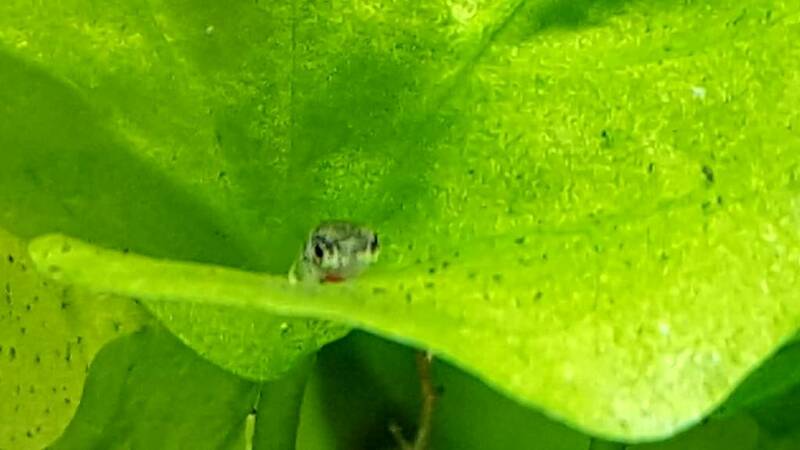 I just moved a preggo Oto from the community tank to my shrimp tank. I hope I get the same results as yours. I'm assuming you have males in there as well? Male will fertilize eggs as female deposits them. Some of these fish may also school breed - I believe Corys do and have heard Otos do similarly.